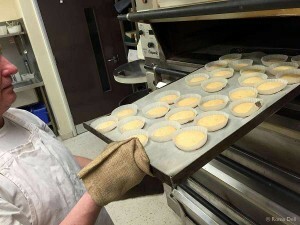 Our own bakery on the premises allows us to make our own fresh bread, pizzas and cakes. 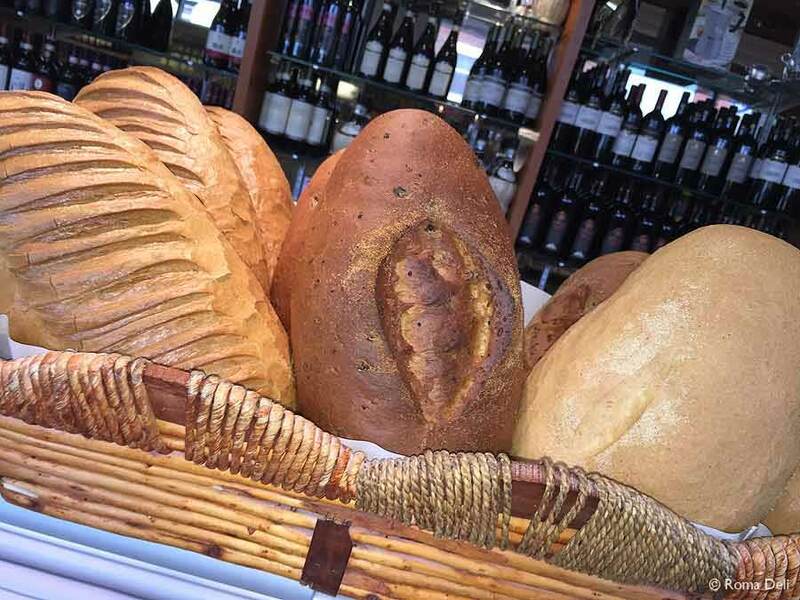 All of our bread contains Extra Virgin Olive oil and we make both large and medium-sized loaves along with small breads. Or you can always order a particular style of bread to your taste, if you call us the day before. Our most popular bread is made with Durum wheat flour which we import from Italy, the finer flour makes the bread denser, but still has a light taste. This bread keeps fresh for longer and is low in gluten. We make lots of small breads including bagels, white and granary rolls of different shapes and sizes. Take a look at selected bakery products from our range on our bakery gallery page.